The tune was recorded by the trio that would come to be known as Band Of Gypsys – Hendrix, bassist Billy Cox and drummer Buddy Miles – during their first-ever recording session on April 22, 1969 at the Record Plant in New York. This lineup would go on to make its public debut during four performances at the city’s Fillmore East on New Year’s Eve 1969 and New Year’s Day 1970, from which the live albums “Band Of Gypsys” (1970) and “Machine Gun” (2016) are derived. 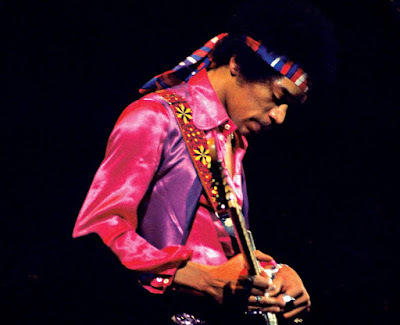 Produced by Eddie Kramer alongside John McDermott and Janie Hendrix – the guitarist's sister and president of Experience Hendrix – the project includes guest appearances by Johnny Winter, Stepehen Stills, Lonnie Youngblood and original Jimi Hendrix Experience members Mitch Mitchell and Noel Redding. "It was amazing just to watch him in the studio or live,” explains Kramer. “The brain kicks off the thought process - it goes through his brain through his heart and through his hands and onto the guitar, and it's a seamless process. It's like a lead guitar and a rhythm guitar at the same time, and it's scary. There's never been another Jimi Hendrix, at least in my mind." “Both Sides Of The Sky” will be issued via multiple formats, including CD, digital and a numbered, 180-gram audiophile double-vinyl.